Sega Europe took advantage of their close proximity to the famous Epsom Derby to hold their distributor meeting at the races last Friday. The general feelings on the games were that Sega may struggle with the Star Wars but the 18 Wheeler U/R looks to be a good single site piece and should hit some respectable numbers. On the new Naomi Breakout type game the jury is still out although the idea is very good putting a new spin on a well proven game. The Nascar Deluxe - this game drives slow and does not seem to have the bells and whistles needed to hit the heights, but the cash box will be the true test. We hear that there is a new Naomi game in the wings that is looking very good is themed on Golf. 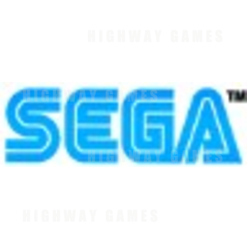 In the ensuing race to scoop the Sega UK distribution it seems that Cromptons are now firm favourites but that the decision has not yet been confirmed officially.